napkins, a photo, a place, memory or even an event. For my daughters 5th birthday we surprised her with a trip to Disneyland, at the time our son was only 2.5 and we thought that was too young to enjoy Disney and all that it involved. We didn't think he would be old enough to understand that she was going and we weren't taking him, so what would be the harm? He wouldn't even know what he was missing out on, right? WRONG! He didn't understand, we were right there, but what we didn't account for was that our new 5 year old would know exactly where we took her. That she would come home to talk all about it for not just days, weeks or months, but we are talking years now! For the last 2.5 years our son has had to hear about Disney and the promise from his sister that when he turned 5 he would get to go too. So no matter what, when he turned 5 we were taking him to Disneyland, and that is what we did! With Disney on the horizon I thought it only best to plan his birthday party to include something of Disney character. My son decided on a Mickey Mouse Pirate theme, and boy was this a fun one! I contacted my dear friend Meghan of Elva M Design to create this darling invitation and printables set. She blew this one out of the water! I didn't want a ton of skulls for the party, since he is only 5 after all. She made a great connection between what we love about Mickey and the fun of pirates without being scary or creepy. If you want your own set of Mickey Mouse Pirate party printables head to her site for a FREE download, that's right, I said free! My goal is to always keep it simple for food, honestly it is because I know what I am best at and that is generally not it. My passion is in the details of the party, and the desserts! No party is complete without yummy desserts. I ordered this amazing pirate cake from a local baker in town. My favorite was that everything was done with buttercream icing except the red details. I am not a huge fan of fondant so to find a local baker that can make delicious cakes using buttercream has my vote! The cake was made to resemble a treasure map with the path to X marks the spot. Graham cracker was sprinkled to represent sand and I add a few chocolate coins to the top with a Mickey Pirate flag. Dessert tables are one of my favorite things at any party. Other than cake the guests had delicious sugar cookies decorated like treasure maps, gold coins and of course the birthday boys name and age. They not only were absolutely beautiful, but delicious too. The detail on these were impeccable. Served with the cake and cookies were chocolate covered Oreos in the shape of Mickey's head and candy bobs with the Mickey pirate symbol. Have you ever seen these candy bobs? The kids loved them, they are so neat and the gal who makes them is incredibly talented. We had a lot of sweets and I wasn't sure if the kids would opt to eat one of these during the party, so I kept the wrappers on and handed them out to each child as the left. It was a perfect addition to the treasure box favors. As guest arrived I had sheet they could learn their new pirate name for the party. The kids had fun time hearing all the silly names. Mine was Swashbuckler Spike ShadyCopper, say that one ten times fast! In honor of our impending trip to Disneyland I printed a "pirate map" from the Jungle Cruise adventure. Guests were also given glow in the dark swords to protect during their hunt for treasure. 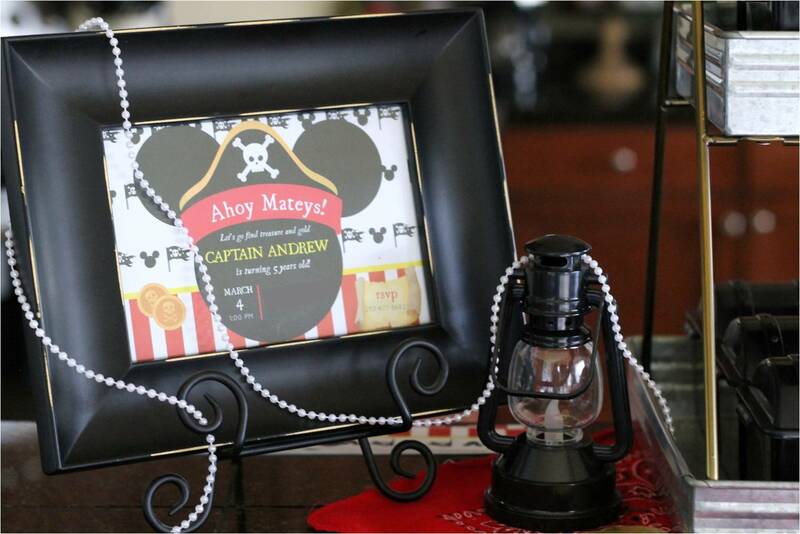 I found a few other Mickey pirate prints online. I printed them and added to simple frames to place around the room throughout the rest of the decor. We served pepperoni pizza, with veggies, pretzels (as Skeleton Bones) and apple sauce pouches (as Shark Bait). A meal fit for a kid! One of the best party games ever, ring toss! Adults and kids can generally have fun with this one since it is never easy at any age. My husband out did himself with this one, I had asked for a pretty lame looking ring toss compared to what he gave me. He took an old board and sanded it down, then burned parts to make it look like old ships decking. 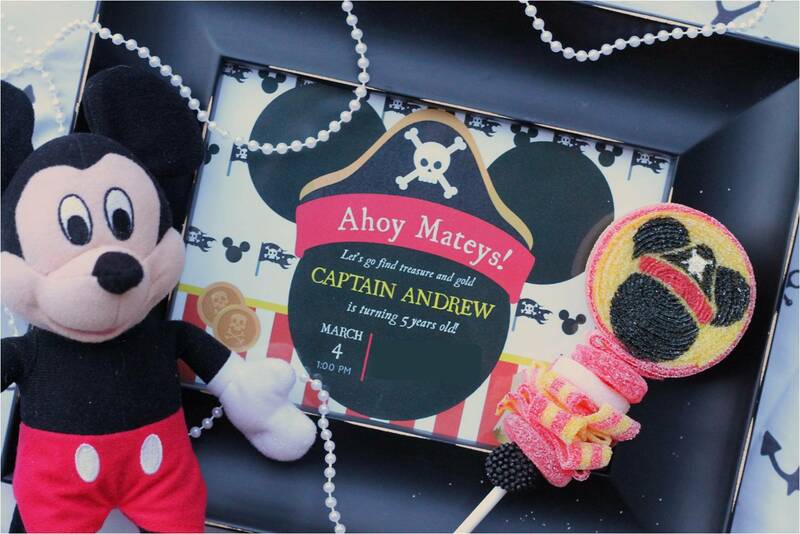 Then he burned the image of Mickey Mouse in the center, and hot glued the pirate hooks to the board. It turned out so good I had a hard time parting with it! As guests came and went they were to be careful, because this space was for Pirates Only and all others were destined to walk the plank! I can't express how much fun I had with this theme. 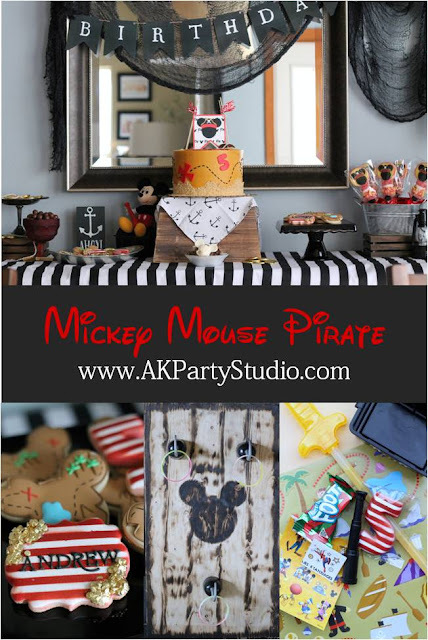 If you haven't hosted a pirate party yet, I encourage you to do it. Treasure map path leading to the front entry, welcomed the guests as they arrived. X marks the spot! We have an old ships wheel that we placed at the entry as a fun addition to the theme decorations. This party theme was a perfect way to celebrate any little boys birthday. Happy birthday my sweet boy, I can hardly believe you are 5 already. Love watching you grow! Seriously amazed at all the love and details you put into this party! 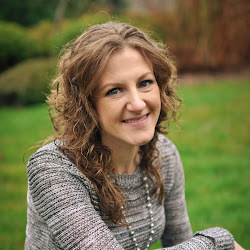 Your vision was perfect and it was a delight putting these printables together for you -- and even better getting to see them in action! Thank you Meghan! Such a great party and so thrilled to have worked with you!